OpenSAML have several metods for reading and parsings SAML metadata. Here is an example on how to load meta data using the FilesystemMetadataProvider. The EntityDescriptor can then be used to extract data from the metadata. Here are some examples on how to use it. The objects of OpenSAML metadata follows the structure of the metadata XML, so if you look at the XML it pretty easy to figure out how to read it with OpenSAML. Is there a way to check if an SP metadata is valid or not.... By valid I mean is the metadata following the correct syntax.... Thx in advance.. I have not tried this, but i would think setting metadatafilter to http://www.imrantariq.com/saml/org/opensaml/saml2/metadata/provider/SchemaValidationFilter.html in the metadataprovider would do the trick. Could you give me feedback on this when you try it? Hello Stefan. Do you have any idea how to use ChainingMetadataProvider? You register a couple of providers, when you ask the provider for example a entity descriptor, the provider iterates over the providers and returns if any matches. Thanks for your posts. I've been referencing a number of them as I work with OpenSAML. Thank you and reference away. My understanding is that OpenSAML is widely used and as there are alot of manual work invloved in uasge I imagine applications using this should have a verry special need. This makes curious so I try to ask people that visit my blog what they use it for. What do you use OpenSAML for? Cool! Tried your book, but it said that it was out of the its scope. Any luck with reading metadata with OpenSAML3 ? 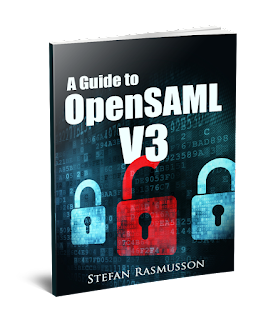 I am migrating a project from OpenSAML 2 to OpenSAML 3. Any pointers will be great. I'm getting below error when I try to read metadata file using FilesystemMetadataProvider.